Certified since 2013, Wallenborn just successfully completed its 6th GDP audit, required annually by the GDP Association. On 7 March 2013, the EU Good Distribution Practices (GDP) Guideline was published in the Official Journal of the European Union. Six months later, on September 8, 2013, the Good Distribution Practice Guideline came into operation. The risk of counterfeit medicine possibly coming into the legal supply chain as well as adulteration, cross contamination and any other negative impact on the quality and integrity of the medicinal product have to be avoided. For that reason, the GDP Guideline is intended to ensure control of the distribution chain and consequently maintain the quality and the integrity of medicinal products. In October 2013 Wallenborn became Good Distribution Practice (GDP) certified allowing us to confidently service pharma clients. Specifically, the certification covers the Good Distribution Practice of medicinal products for human use. The pharmaceutical and healthcare supply chain, particularly in the EU, became subject to increasing regulation, and global GDP guidelines drove the need for better quality equipment and procedures. The wholesale distribution of medicinal products is an important activity in integrated supply chain management. Today’s distribution network for medicinal products is increasingly complex and involves many players. These guidelines lay down appropriate tools to assist wholesale distributors in conducting their activities and to prevent falsified medicines from entering the legal supply chain. Compliance with these Guidelines will ensure control of the distribution chain and consequently maintain the quality and the integrity of medicinal products. the management system is capable of achieving the organization’s policy objectives. The audit was conducted by SGS Belgium NV. Wallenborn passed with 0 non-conformities. To better understand how we can support your pharma or general temperature controlled transport needs visit www.wallenborn.com/en/temperature-controlled. To request a quote or ask about specific requirements please email LUX.request@wallenborn.com or call our Luxembourg office at +352 26 341 1. In August 2016, the European GDP Group was reorganised to become the European GDP Association. It is the goal of the Association to represent Responsible Persons for GDP, Logistic Managers and other individuals involved in a secure pharma supply chain. 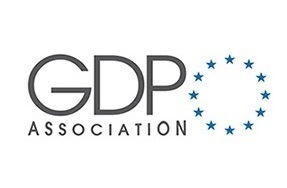 To learn more about the European GDP Association click here and for more on the GDP guidlines click here. SGS is the world's leading inspection, verification, testing and certification company. They are recognized as the global benchmark for quality and integrity. With more than 95,000 employees, we operate a network of more than 2,400 offices and laboratories around the world. Their core services can be divided into four categories: inspection, testing, certification, and verification. To learn more about SGS Belgium click here.